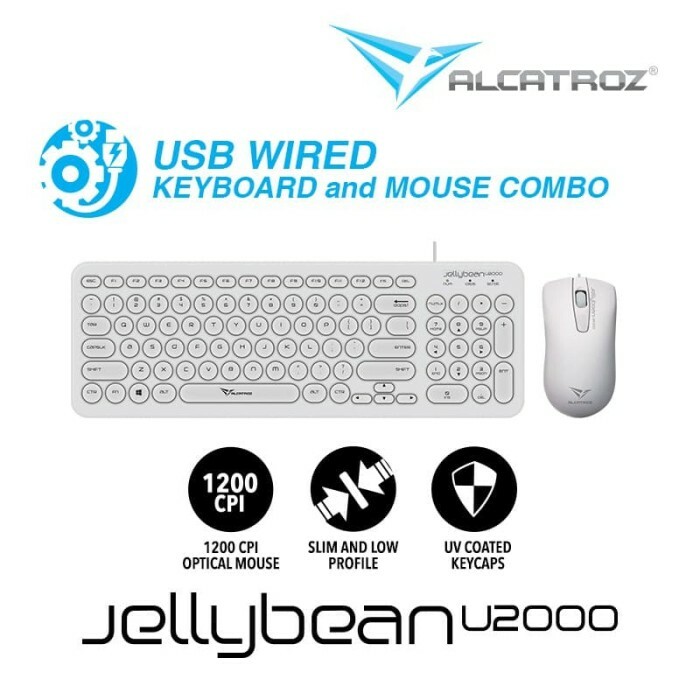 It’s an affordable lightweight wired keyboard and mouse that you can get for your computer or laptop. It’s keyboard has a special design key layout which allows the mouse to be positioned closer to your body. In addition, the mouse has a slim body that allows you to grasp it more comfortably for long hour usage. Here is a overview of the Jellybean keyboard layout. The dedicated buttons such as “Home”, “End”, “Page Up”, “Page Down”, “Print Screen”, “Scroll Lock” and “Pause” are removed from the keyboard to allow smaller width keyboard. The “Insert” and “Delete” buttons are repositioned to the top, while the removed buttons are replaced by pressing the Numlock and then Fn (Function) Key and the Numpad on the right to enable the “Home”, “End”, “Page Up” and “Page Down” and “Delete”. Only the “Print Screen”, “Scroll Lock” and “Pause” buttons are not replaced. This is the Jellybean U2000 mouse. The body shape has a slight curve inwards at the mid section of the mouse. Both the right and left side of the mouse does not have any macro-able buttons. In addition, this mouse can be used by both left-handed and right-handed users (ambidextrous mouse) as both sides of the mouse are shaped symetrically. UV Coated Keypads ensures longer durability of the keypad lettering when compared with conventional silk screeened keyboards.